How much fat is in Burger King’s new Satisfries? Burger King is getting a lot of media attention for its new Satisfries, which it touts as being lower in fat than the leading brand (i.e. McDonald’s) and than its own regular fries. How much salt is in Burger King’s new Satisfries? 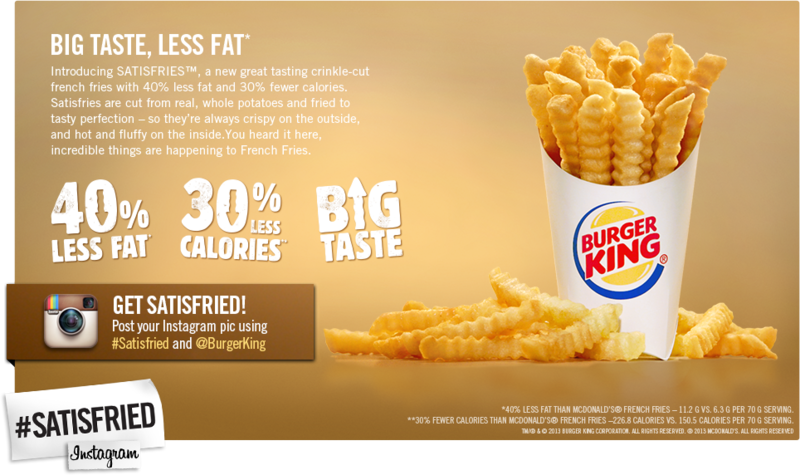 Burger King’s new Satisfries, are getting a lot of media attention for being lower in fat than the competition’s (i.e. McDonald’s) and than Burger King’s normal fries. 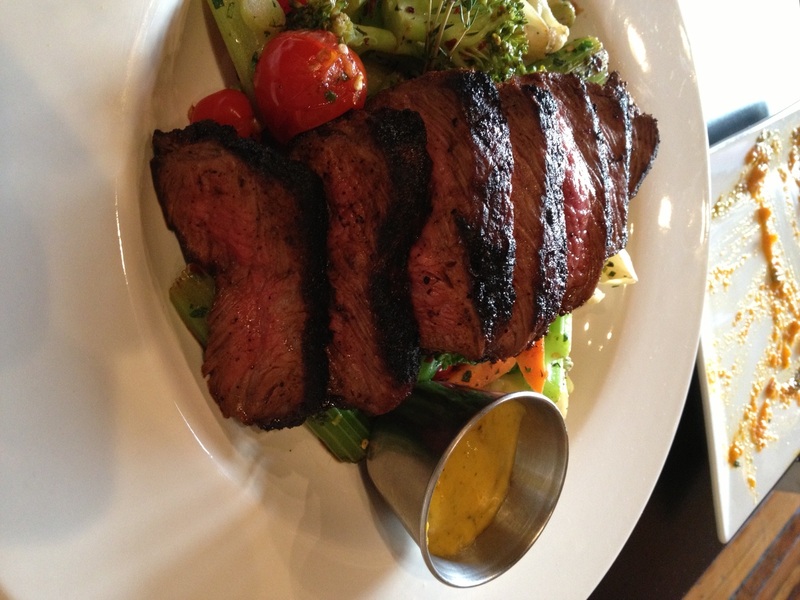 Chips of almost any kind are likely off your menu if you’re on a restricted diet. Most are loaded with salt and, depending on how they’re made, fat as well. Yet when you crave something crunchy (and you don’t eat nuts like me) what can you do? Salt-free tortilla chips are out there. I’ve found them at both Trader Joe’s and Whole Foods. 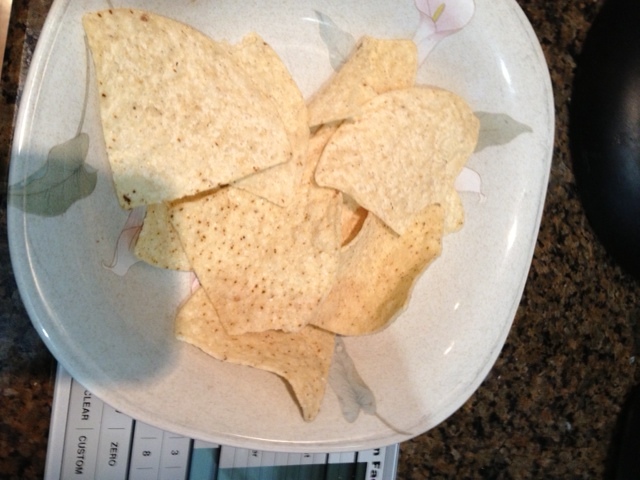 The Trader Joe’s variety, TJ’s orgnaic white corn tortilla chips, has 0 mgs of salt and 7 grams of fat per ounce. The Whole Food option, 365 chips, also white corn based, has 0 mgs of sodium and 6 grams of fat per ounce, so the Whole Foods brand is the better choice, given it’s lower fat content. Each has zero sugar. Here’s what one ounce of tortilla chips looks like. Is it enough for you? Cheese, by its very nature, is usually high in fat and sodium, so if you’re on a low salt, low-fat diet, it’s largely a no-no. 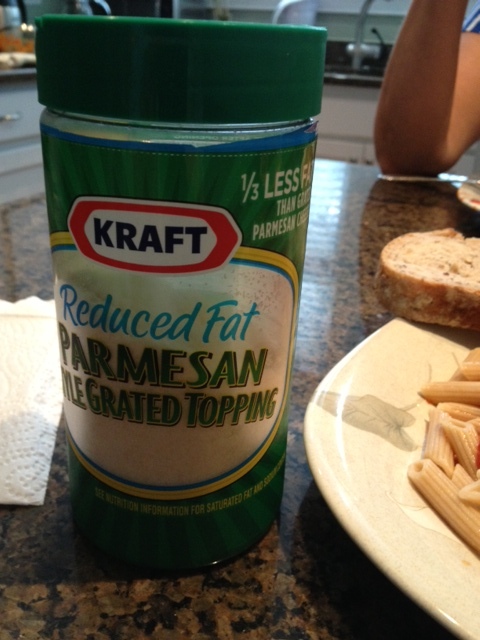 I’ve been searching for some ways to keep cheese in at least some of my Italian dishes. I’ve written about using fat-free mozzarella on my whole wheat pizza. Asian food is notoriously high in sodium, thanks mainly to the presence of soy sauce and teriyaki sauce in many dishes, both Japanese and Chinese. I dearly miss my Friday night Chinese food treat but haven’t had Asian food since my angioplasty in August 2012 on nutritionists’ orders. I have been searching for a way to make some of my own, however. 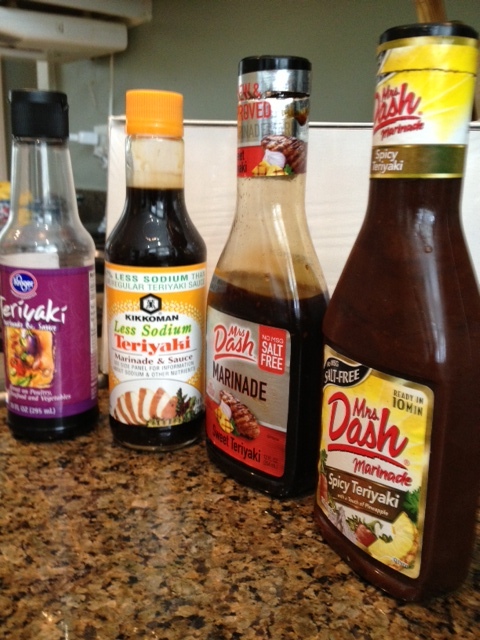 Salt in teriyaki sauce ranges from 600 mgs for regular, to 320 for reduced sodium, to none in salt-free teriyaki sauce options. 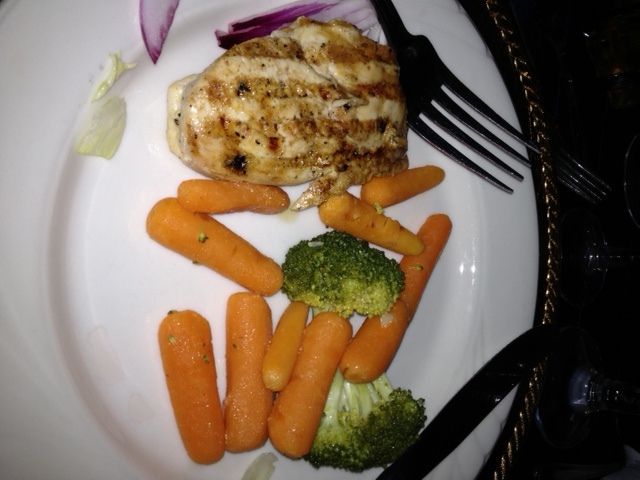 I’ve written about my search for salt-free marinades to give some flavor to the white-meat chicken and various fish dishes I eat on my restricted diet. I’ve found two brands online, Mrs. Dash and Mr. Spice. But shipping costs can more than double the price of a bottle of their products, so I wrote them both, searching for local retailers who carry their products in my area, the northern suburbs of Chicago. Preparing salmon with Mrs. 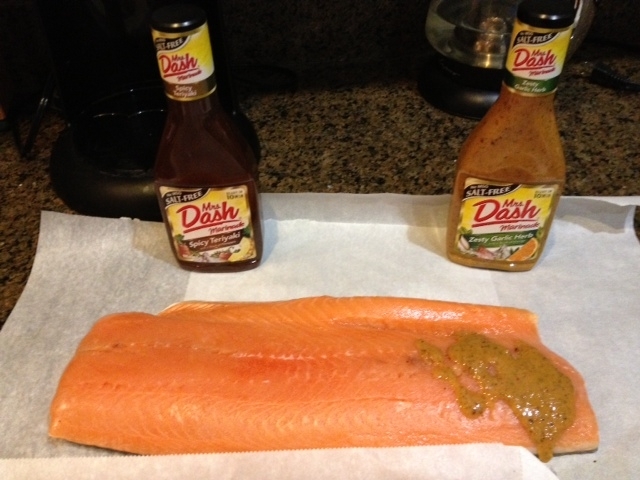 Dash no-salt marinades. I was overjoyed to find them at a local food retailer, Sunset Foods. Labor Day is the unofficial end of the summer barbecue season, and usually means firing up the grill(s) for steaks, chicken, brats, Italian sausage, hot dogs and hamburgers. When you’re on a restricted diet, however,all those traditional American treats may be off your menu. That doesn’t mean you have to sit inside and eat nothing. 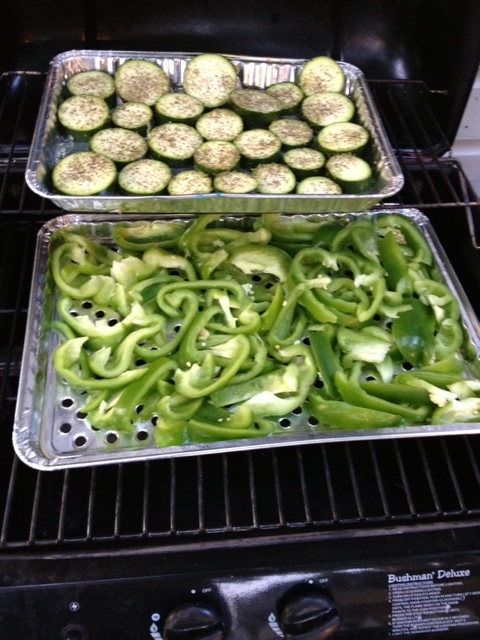 You can still grill by making some strategic switches I’ve written about here.